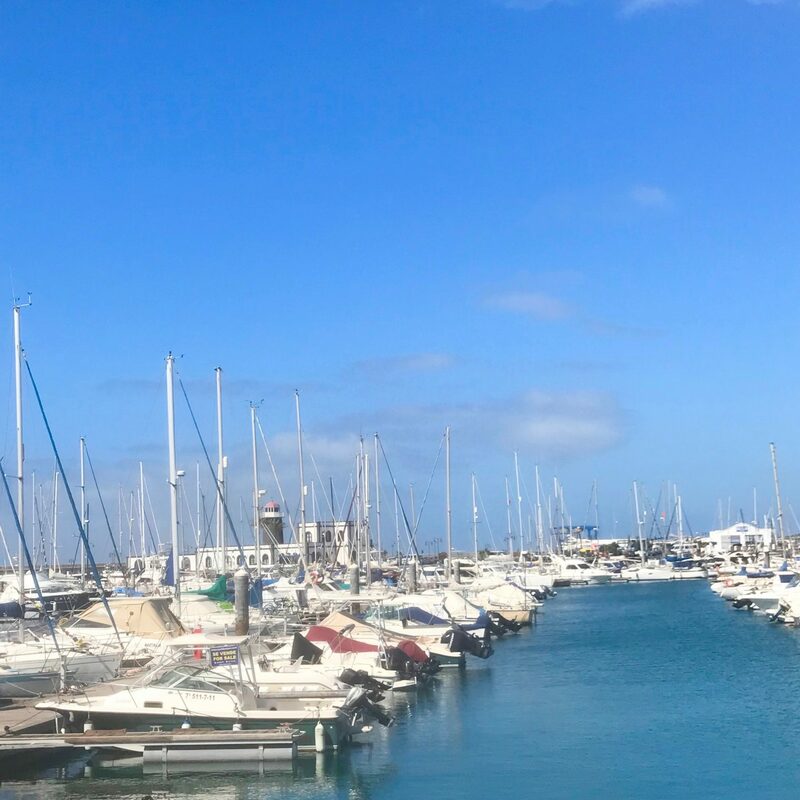 I have just returned from a very much needed holiday in Lanzarote, where, despite continuing to work on my dissertation which is due THIS MONTH, I had a lovely time and had a chance to recharge, soak up the sun and relax. You may have already seen my Lanzarote Look book where I have put together a kind of outfit diary of what I wore whilst I was away. I went away with Josh and my family for a couple of weeks, Josh came out and stayed with me, my grandparents and their friend Margaret and then after a week of cocktails and sunbathing, Josh and Margaret went home, to be subbed in by my Mum, Dad, sister and cousin. We stayed in Casas Del Sol, a relaxed apartment complex in Playa Blanca, where there are a mixture of holiday makers and homeowners, so there is a nice relaxed pace about the area. Playa Blanca is a quiet resort at the south of the island, which is only a 30 minute ferry journey away from the neighbouring island of Fueterventura. 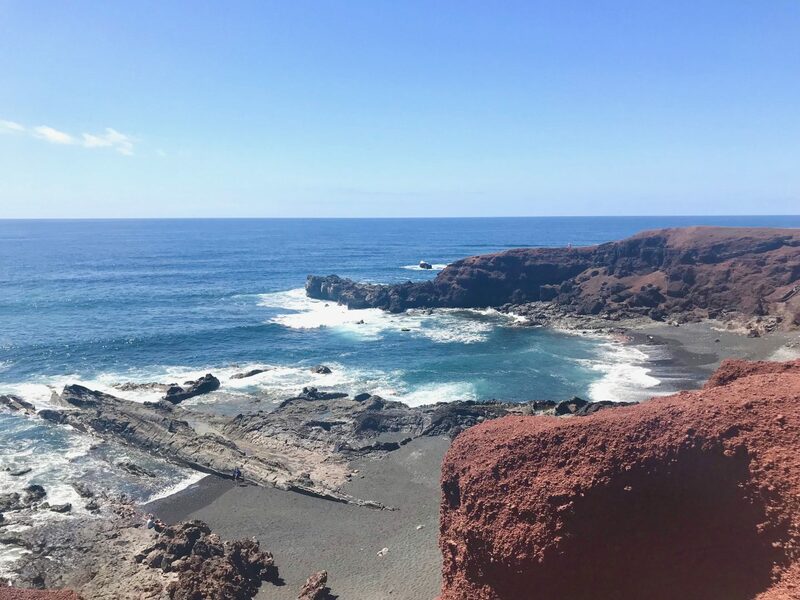 Today I thought I’d share a few must-go places if you ever find yourself travelling to the southern tip of Lanzarote- which if you’re looking for an inexpensive, relaxing holiday for you and your family or partner, I would recommend. Please feel free to add to my guide in the comments below with any suggestions you have! So we had every age range imaginable and we all really enjoyed it so I would definitely say it’s a place for all the family. There is a beautiful beach, which is where Playa Blanca (white beach) takes it’s name from, so it’s perfect for those who like to sunbathe. It’s also fabulous for those of you with children, who will want you to plunge into the icy waves approximately every 3 minutes. It’s also busy enough to have a great atmosphere but not overrun with tourists to the point where it becomes unpleasant. Where we stayed was a perfect location just on the outskirts of town, with restaurants and cafes a short 5-10 minute walk away. So, there is “town” which is essentially a few shops, including a Mango, an ice cream parlour and a few bars. 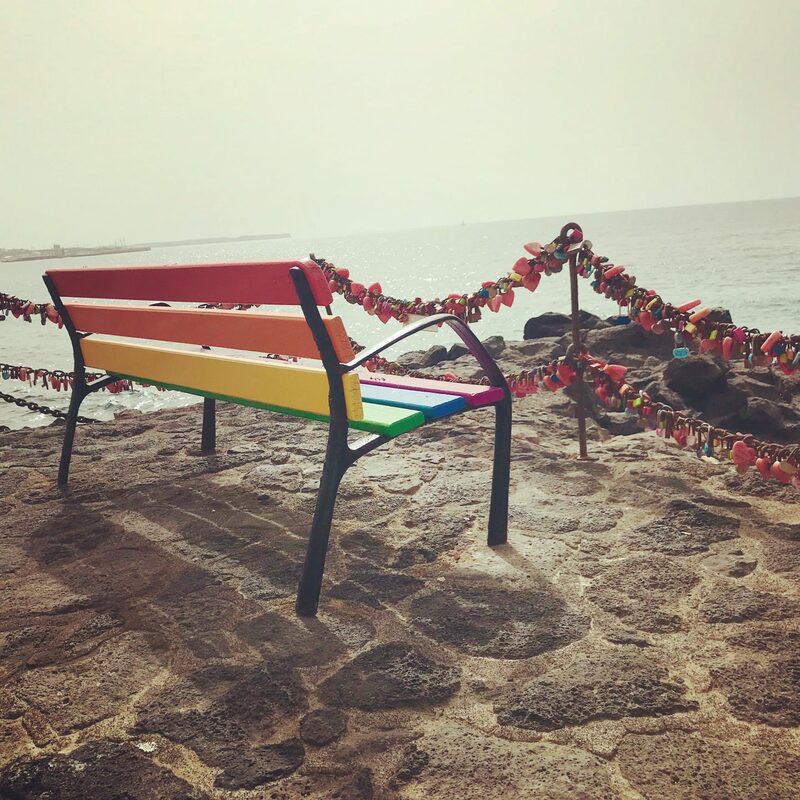 Then on the sea front side of town, there is a collection of restaurants which have every cuisine you can think of, not to mention a gorgeous view of the seawall, which is adorned with love locks. Finally when you continue walking along the front and past the beach for around 20 minutes, you will find yourself at a Marina, packed with bars, cafes and designer shops. Not to mention hundreds of dreamy boats. All of this is within walking distance from wherever you choose to stay within the town. There is also a bus link between Playa Blanca and Arrecife airport, although I would recommend pre-booking a transfer for the sake of ease, especially if the weather is hot- which it can be. So where would I recommend to go once you’re there? First up I’ll talk about bars, I have two favourites and both double up as restaurants which serve food. Venezuelan Bar is at the top of town (away from the sea), it’s super cheap for a beer and there is a nice outdoor seating area if you fancy a drink and a sandwich during the day. In the evening it transforms into a hive of activity, locals come to watch the sports, teenagers come to play pool and tourists come to dine. They serve a selection of food but we found it best to order a selection of meats, rice, beans, potatoes etc and all share- it was delicious. 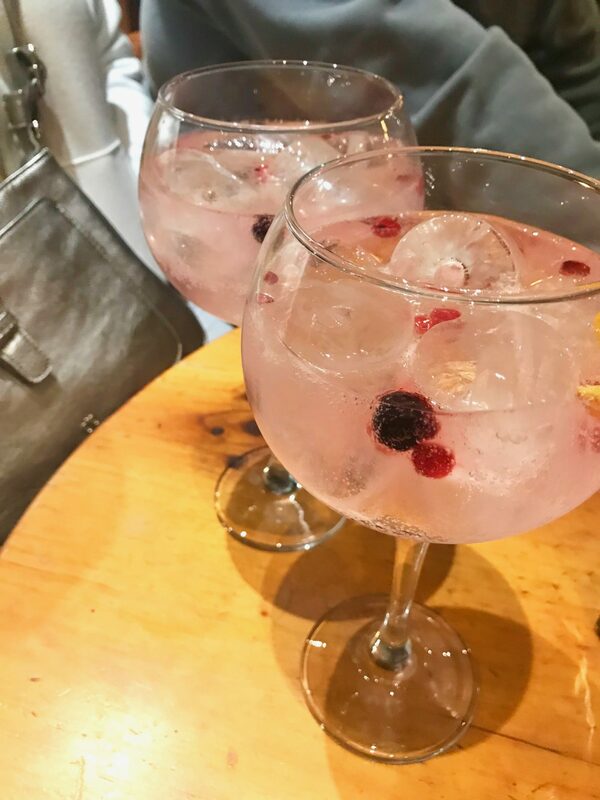 My other favourite bar is El Perrigrino’s, a tapas bar, where again the food is divine, and they serve the largest Gin and Tonic I’ve ever seen! The staff are beyond friendly there and the tapas is amazing as it gives you chance to try multiple different dishes. Where next? Well it has to be Ninen, the tiny Italian in the middle of town, which seats approximately 14 people and serves only fresh homemade pasta. 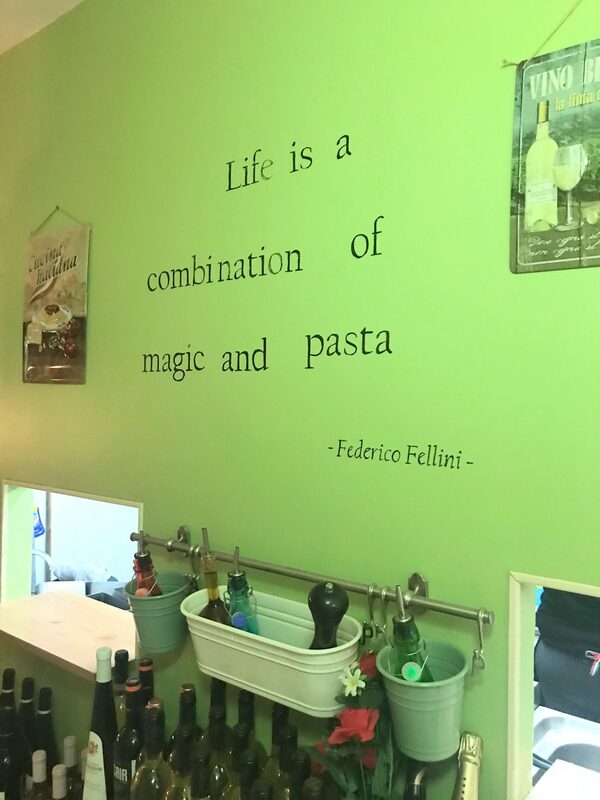 The mantra of this place is “life is a combination of magic and pasta” which speaks to me on a deep level. If you fancy going here you must pre-book as they are very in demand, and as I mentioned, there is not a lot of room. I enjoyed both of the occasions I ate here, not to mention the view of the sea is stunning at night as the restaurant overlooks the harbour. Although we ate here as a family, I imagine this is a lovely place to eat as a couple, due to the small space and low lighting it feels very romantic. I love a good curry, so Imagine India is the perfect place to go if you like a bit of spice. They really cater to all tastes as they can make any dish mild, medium or hot so you won’t be overwhelmed and can therefore try different dishes than you would usually be able to manage. It has to be said that I stuffed my face here twice and thoroughly enjoyed every bite. It is located on the sea front so is easy to spot and the staff can’t do enough for you. If you like Chinese or Thai cuisine then you need to visit Asia, which serves both, with 2 enormous menus. The portions here are massive so just bare that in mind so that you don’t get overfeed with multiple dishes. You can actually see your food being cooked in front of you here so you know it is good stuff. I would say this is a good choice if you have kids as they seem pretty accommodating and the menu is broad so there is lots of choice. I previously mentioned the Marina Rubicon which is a short walk away, I would most definitely have a walk down here if you can because you see lots of things along the way, particularly Freddy’s Cat Houses. These houses are scattered along the walk, to house and feed the local cats who you will see from time to time. They are as good as gold and do not bother tourists, if that is something which bothers you but it’s nice to see that they are well looked after. They are very used to people and seem to be very well fed which is lovely to see. When you finally reach the Marina, it has some lovely views of all the boats and there are some nice terraces to stop for a drink and a bite to eat. 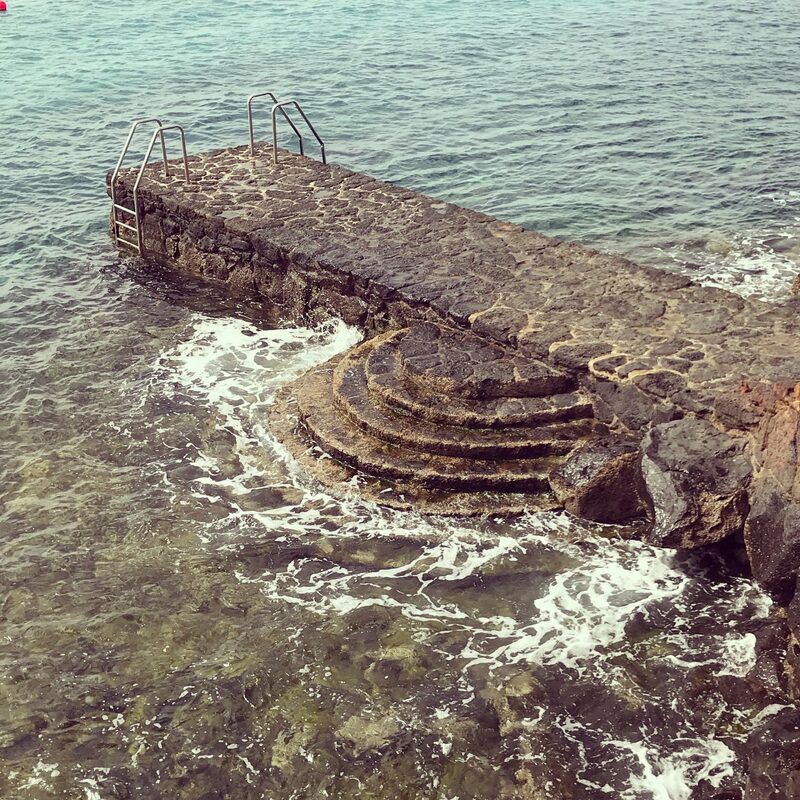 The walk is also really good to get you out in the fresh sea air, rather than just laying around on a sunbed all day. 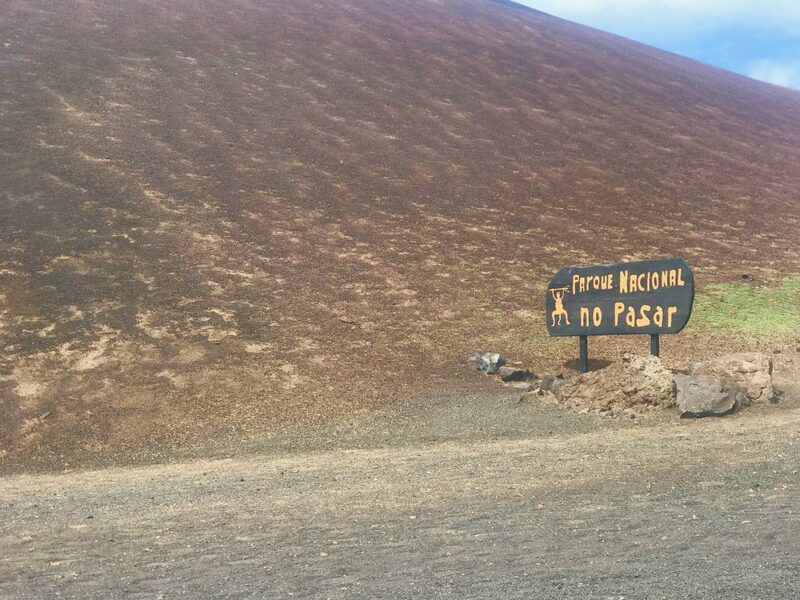 Now if you want to venture a little further out of Playa Blanca you can book an excursion up to Timanfiya, the largest volcano on the island which resides within a National Park. We booked an all day trip which involved a stunning drive through the volcanic region, the lava river and up to the observatory. We also witnessed some “experiments” to demonstrate the heat and power of the volcano even over 200 years after the last eruption. The trip also included wine tasting as a local vineyard and a stop off at the Green Lagoon, a lagoon turned acidic by the volcanic particles on the island. The trip was actually super informative as well, I learned a lot, and as my brain is like a sponge for soaking up useless information, I will now always know that the largest eruption increased the size of the island by 8%. This is a great trip if you don’t want to spend all day on a sunbed, or if you have kids that need a little bit of entertainment as there is also an opportunity to ride a camel if that’s what floats your boat. So those are just a few of my suggestions of places to visit if you ever find yourself in Lanzarote, staying in or visiting Playa Blanca. As I said before, do let me know in the comments if you have any other suggestions for hidden gems within the town! Thanks for reading.